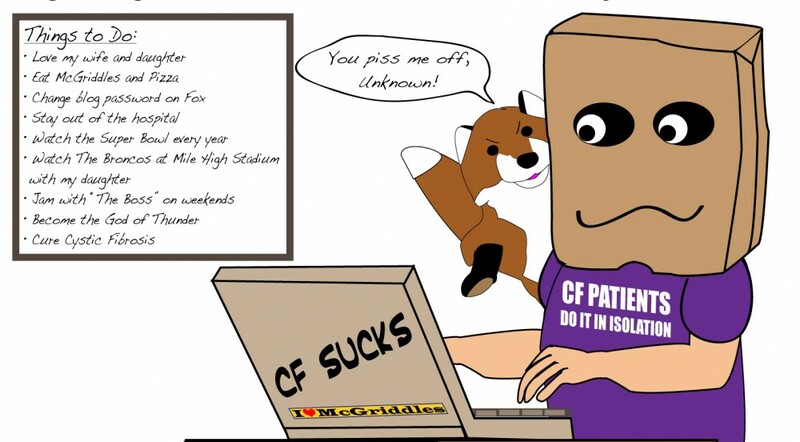 This entry was posted in cystic fibrosis and tagged anger, fighting cf, Internet & CF by unknowncystic. Bookmark the permalink. Can’t thank you enough for this comment. Not in the fact that we both see eye to eye on fighting CF. I’m appreciative to get a second, thoughtful opinion about it. Thanks again. Also, you’ve sent some very funny tweets this week. LOL.